Hungary’s forint kicks off the week north of 325 versus the euro, after it recovered on Friday from around 327. The US dollar has failed to make a turnaround so far after its weakening against the euro in the second half of last week, while the Turkish lira started to firm significantly. The sell-off of Central and Eastern European currencies started in tandem with the strengthening of the USD which was losing the game against the euro in the morning but has firmed 0.2% already compared to its closing level on Friday. This marks an intraday appreciation of nearly 0.5%, and the cross is approaching 1.17. In view of that it is only natural that the forint has shed more than 0.5% against the USD since opening and USD/HUF is currently at 279 on the interbank market. The forint has started to ease versus the euro and it is currently quoted north of 326.50, which marks an 0.3% HUF easing compared to Friday’s closing level. In parallel with this, sentiment worsened on the market of Poland’s zloty as well, and the PLN is now down 0.25% to the euro, while on emerging markets, Turkey’s lira is still 0.7% up against the USD. The forint starts the week at 325.35 to the euro, marginally firmer than Friday’s closing level. The HUF managed to recover at the end of last week as on Friday morning it was still at 327 against the single European currency and it seemed it was eyeing the all-time low at 330 again. Yet, it’s too early to sigh in relief for international sentiment could turn dour at any moment and send EUR/HUF flying close to 330. The HUF is currently quoted at 277.40 to the USD and at 364.46 versus the British pound. Elsewhere in the region, Poland’s zloty shed 0.1% to the euro, while the Czech koruna is flat for now. On emerging markets, the TRY fired up its rockets and gained over 0.5% by now against the USD, while South Africa’s rand eased by 0.2%. 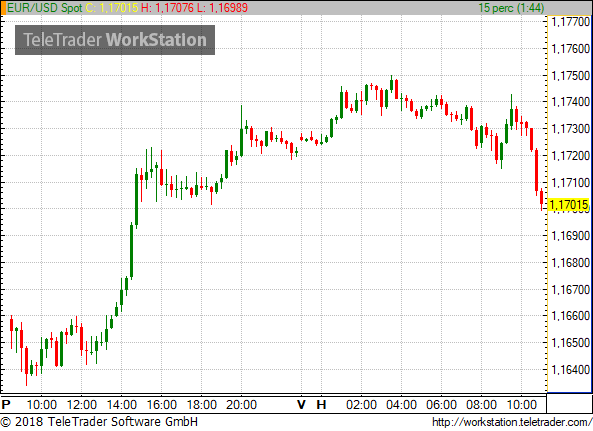 The euro has firmed some more to the USD, continuing the trend we have seen in the second half of last week. 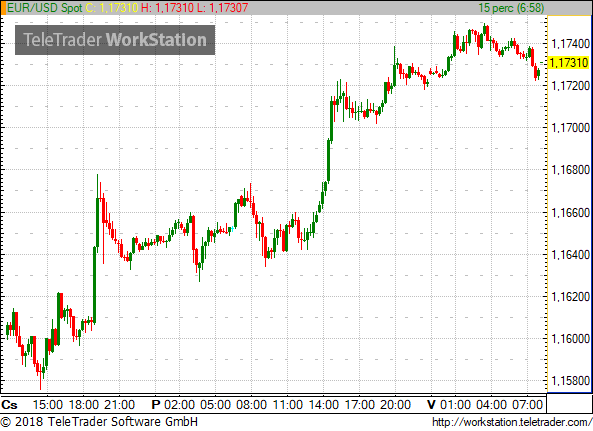 The cross has apparently turned around at 1.15 and it is currently at 1.1731, which marks a 0.1% euro strengthening. Meanwhile, Japan’s yen gained 0.5% to the UDS, while the GBP firmed 0.1%. The macroeconomic calendar is rather empty for today. Investors this week will be keeping a close eye primarily on central bank policy meetings. The National Bank of Hungary (MNB) will be in focus in Hungary and the ECB on global currency markets.